I was really taken by this item. 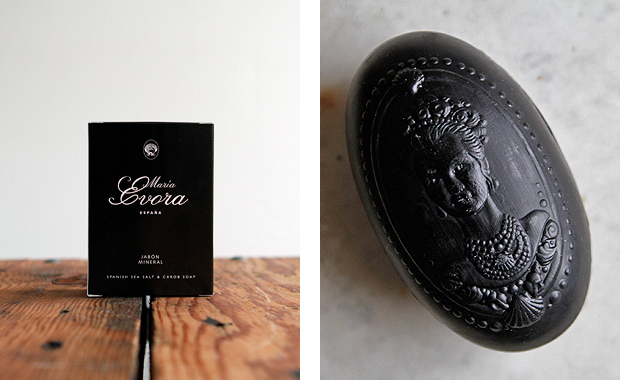 I found something wonderfully mysterious and regal about Maria Evora's mineral bar of soap. The deep black colour reflects the beauty and sensuality Maria intended for her mineral products. However, as well-designed as the packaging is and as rich as the history of her line may be, it's Maria's haunting image on the bar that truly takes an item as overlooked as a plain bar of soap and transforms it something fit to be framed and hung up on a wall. Now available at Le Marché St. George.